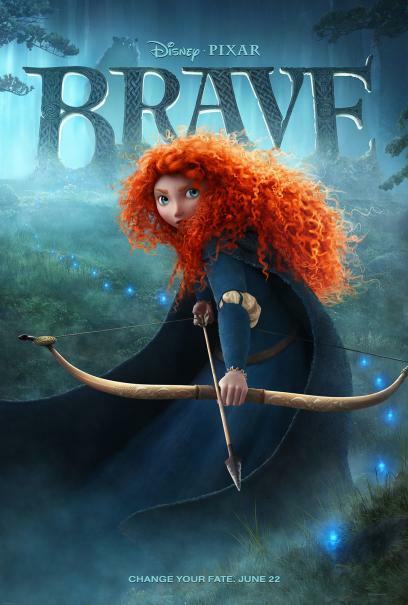 Brave ~ Disney/Pixar has done something with Brave that is extremely difficult to do in the age of the internet, and I'm glad they did. They managed to hide from audiences what this movie is all about. And that's a good thing. At first glance, it is the latest of a long line (and a damn fine tradition, don't get me wrong) of Disney Princess movies. 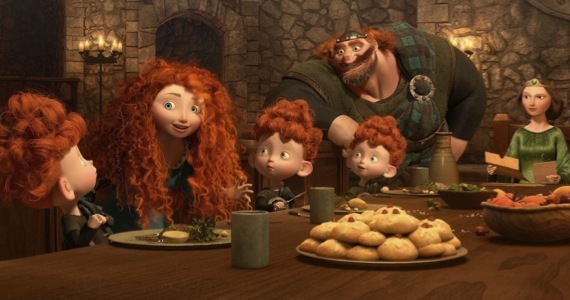 The Princess Merida with her tangled scarlet locks, independent attitude, and Scottish bearing stood ready to become not only the latest, but probably one of the most popular of the Disney Princesses. In some cases, the DP is not a good role model or stereotype. The female protagonist is passive, waits for the prince to come and save her, save the day, and live happily ever after with. It's tired in this age of enlightenment. Now there's nothing wrong with that type of movie. In its time, stuff like Disney's Sleeping Beauty, Snow White, and even The Little Mermaid to an extent worked well and are wonderful stories. But this isn't that kind of movie. Brave is about relationships. Chiefly about daughters' relationships with their fathers, and mostly their mothers - and most importantly, mending those relationships. Now there are moments where Brave is predictable, and there are times when it's madcap and sometimes it's scary, but it is always entertaining, but just don't expect your typical Disney Princess here. I'm not going to give anything away, much like Disney/Pixar's marketing did not, and reasonably has not yet given anything away, but I loved this flick. Viva la difference! Recommended. Highly recommended. I was very happy that the storyline was what it was.